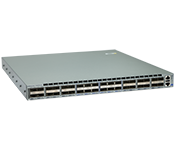 The Arista 7280R series is a set of purpose built 10/25/40/50/100GbE fixed configuration 1RU and 2RU systems designed for the highest performance environments such as IP Storage, Content Delivery Networks, Data Center Interconnect and IP Peering. 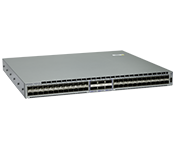 Wire speed L2 and L3 forwarding are combined with advanced features for network virtualization, open monitoring and network analysis, resiliency and architectural flexibility with deterministic performance. Deep packet buffers and large routing tables allow for Internet peering applications and the broad range of interfaces and density choice provides deployment flexibility. 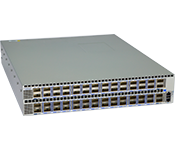 The Arista 7280R Series FlexRoute™ engine provides the scalability to support deployment as a routing platform with Internet scale routing. 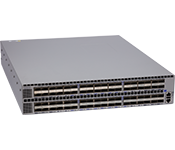 Arista FlexRoute along with EOS NetDB™ enables innovations and convergence not natively available in merchant chipsets.